The ice arena and Riverside golf course have lost more than $750,000 in the past 10 years. PORTLAND – City officials are taking a hard look at the way they run municipal recreation and sports facilities, and may seek management companies to turn around the mostly money-losing operations. As with most enterprises involving the city these days, tight budgets are driving the discussions. The Portland Ice Arena hosts public skating, figure skating and hockey games. 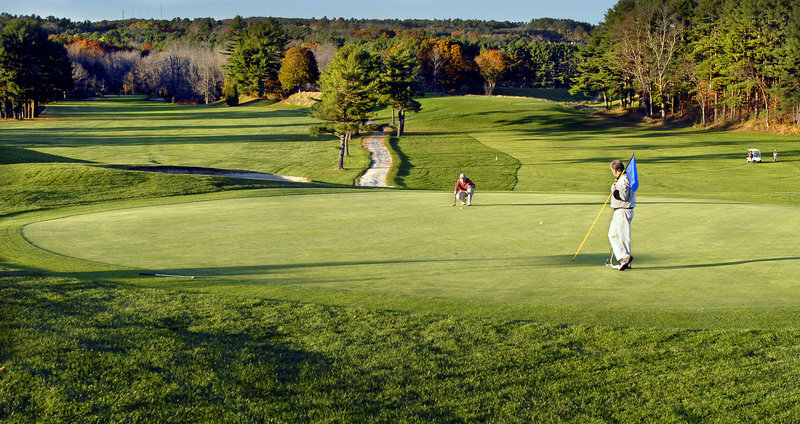 The Riverside Municipal Golf Course — a nine-hole course and an 18-hole course along the Presumpscot River — draws thousands of golfers each season. Both operations regularly lose money. The issue surfaced last month when the City Council’s Finance Committee put out a call for a new contractor to run the restaurant in the clubhouse at Riverside. Councilor John Anton, chairman of the committee, said he wanted to make it clear to prospective operators that the city might not manage the course in the future, so no one would be blindsided if the management changed. Harris Golf, a Bath-based company that owns or operates seven courses in Maine, followed up this week with a nine-page proposal detailing what it would do if hired to manage the course, although the proposal doesn’t include an outline of how the deal would work financially. Company officials said that would depend largely on how long the operating lease would run, and suggested that higher fees for nonresident golfers could increase revenue. Anton said his committee’s work plan for the year includes a discussion of how the city should handle its recreational facilities. Many communities have found that management by private firms can save them money. At last month’s committee meeting, city staff was asked to come up with a business plan for the golf course. Anton said public discussion of the future of the golf course and the ice arena will happen after the council drafts the city budget for the coming fiscal year, a process that is usually completed in midspring. The city has five major recreational facilities. In addition to the ice rink and the golf course, there is the Portland Expo, Hadlock Field and Fitzpatrick Stadium, three facilities that are operated by the city department that manages the rest of Portland’s government buildings. None of the three is budgeted as an independent enterprise; the ice arena and the golf course are. Anton said it’s hard for city officials to justify subsidizing recreational facilities that are used by a small segment of the community when they have had to cut back on basic services to balance the budget. The golf course and the ice arena operate as “enterprise funds,” meaning they have separate budgets. Employees’ salaries and benefits and other operating costs are expected to be covered by the revenue the facilities generate. Occasionally, the city has budgeted for profits on the operations. But the ice arena and the golf course usually lose money. The city must cover losses from its general fund; any profits go into the fund. In the past decade, the golf course lost nearly $120,000. The ice arena lost more than $635,000 from fiscal 2001 to 2009; figures from the fiscal year that ended June 30, 2010, were not immediately available. The golf course’s worst year in that period was 2006, when it lost more than $140,000. It made more than $80,000 in 2008. The ice arena’s biggest loss in that period was nearly $125,000 in 2001. Its best year was 2005, when it lost $10,695 — a year after the last payment was made on the 1984 bond that paid for the arena’s construction. Anton said profit isn’t the true bottom line for city facilities, because fees are often kept down to allow more residents to use the sites. He also said part of the cost of the facilities lies in making them available for school use. 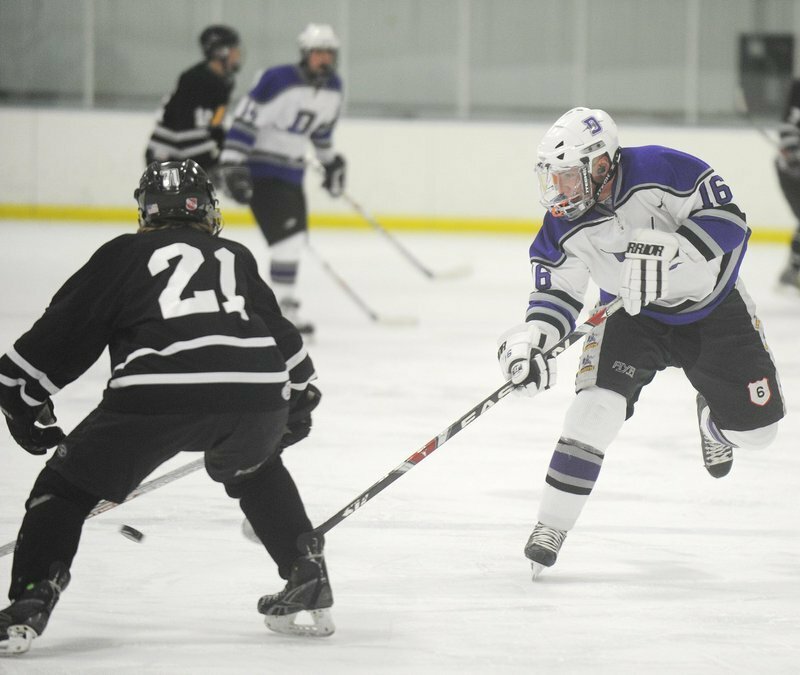 For instance, high school hockey teams practice and play games at the ice arena, and high school golf teams do the same at Riverside. He said a key consideration for the future is whether the facilities should produce profit for the city or break even. Councilor John Coyne, another member of the Finance Committee, said the city needs to take a fresh look at its facilities. Councilor Jill Duson, the other member of the Finance Committee, could not be reached for comment. Committee members can expect an earful when considering changes at Riverside and the Portland Ice Arena, said Mayor Nicholas Mavodones. The council last took an in-depth look at the two facilities about 10 years ago, he said, and it might be a useful exercise to consider their futures again. When the talk turns to turning over those facilities to private management, he said, groups that use the ice arena and golf course worry that the first thing that will happen is fees will rise. “We’re very fortunate to own the facilities that we do” and would want to guard against raising the fees, he said.